Give The Gift Of Dance Classes! Presents around the holidays are traditionally wrapped up in festive paper and shiny bows. Toys are given, or the latest technology, or a new outfit that is sure to be appreciated. But the thing about these things is just that — they’re things. They’ll eventually be outgrown, and they won’t last. When you give the gift of experiences, however, this is something that doesn’t fade away. Experiences create memories and interests, and are the definition of a gift that keeps on giving. 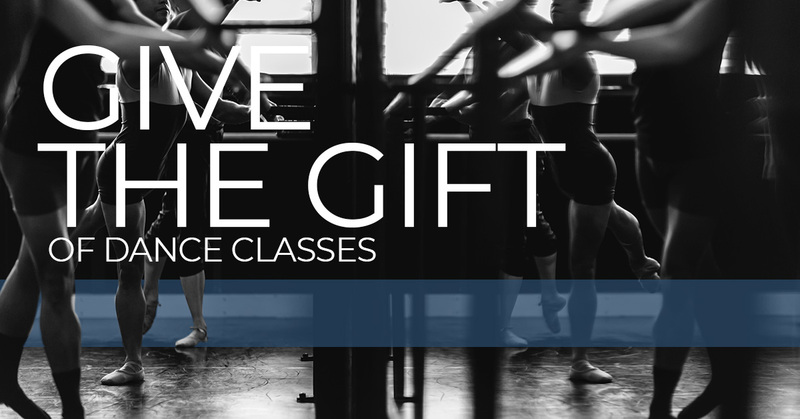 Our dance & yoga studio can think of no better time than the holidays to give the gift of dance classes! For students of all ages, dance classes are a gift that everyone will love. And considering K2 Dance Studios offers tap, ballet, hip-hop, and so many other options — see why dance classes are the best gift to give this holiday season, and enroll with K2 Dance Studios today! This is an excellent dance class for toddlers and preschoolers! We have three age groups, spanning from 18 months to 4 ½ years old for your child to join. Princess ballet is a great foray into further classes at our dance and yoga studio, and can help your child gain further interest in dance. Plus, it gives them a chance to practice socializing with their peers, as well as a healthy and fun activity to try. For your child who loves dance and already shows signs of being pretty disciplined (or that they would benefit from additional structure), ballet is a great option. Ballet is also not only for girls! We encourage all children who are interested in this dance class to try it out. Whether your young one has loved watching ballets or has been ready to start a more formal dance training, the holidays are a perfect time to get them signed up and enrolled. If your young one has plenty of energy and loves listening to hip-hop or rap, this is the dance class for them. Watching YouTube videos of people coming up with routines and choreography to hip-hop and rap songs are enough to impress anyone, and make everyone want to dance. With K2 Dance Studios, your child will have a dance class they simply adore. Some kids just can’t seem to stop moving, and at our dance and yoga studio, this is more than OK! Tap is a great dance option for kids who are interested in making sounds with their body as they dance, as well as kids who have lots of energy. We all need to take more time for ourselves and do things that are good for our mental state. Not only do we offer dance classes for school-aged children, but we also have yoga classes available for adults. Setting your loved one, be they a friend, family member, spouse, or partner up with yoga classes will surely be a gift that they love. Want to sign your child up for a dance class and give it to them as a holiday gift? Follow these steps! Call or stop by our dance and yoga studio and talk about signing up your loved one for classes. Once you work out the details and pay for classes, feel free to print this PDF out! With this PDF, you’ll have something tangible to give to your loved one during the holidays. Showing your loved ones how much you care for them is something that should happen every day, but the holidays are an especially great time to go above and beyond. Giving the gift of dance or yoga classes is something they will treasure forever.